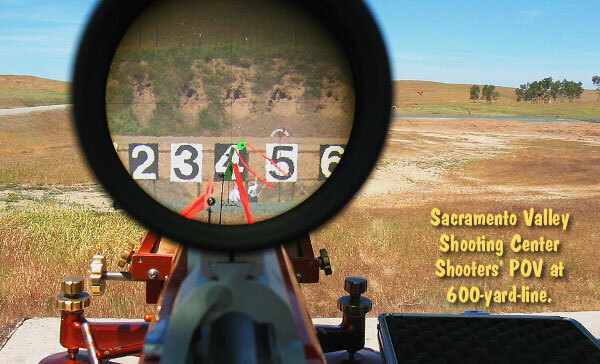 The NBRSA Long-Range Nationals are underway right now at the Sacramento Valley Shooting Center Range in Sloughhouse, CA. The NBRSA LR Nationals involves three separate events (over five days), starting with the 2-day 600-yard Nationals, followed by an F-Class Benchrest Match, and concluding with the 1000-yard Nationals on Saturday and Sunday. The 600-yard Nationals (aka Sloughhouse 600), calendared April 24-25, concludes today. Guys are probably finishing up their final 600-yard relay as this story goes to press. On Friday, April 26, the NBRSA will hold a 1000-Yard “F-Bench” match. This is a popular new discipline which allows guys with F-Class rifles (up to 22 lbs.) to shoot off the bench. It’s a good idea that encourages participation from shooters who might not otherwise come to the Nationals. After Friday’s F-Bench Match, the NBRSA 1000-yard National Championships (aka the 6th Annual Sloughhouse 1000) will be held April 27-28 (Saturday and Sunday). NOTE: It’s not too late to sign up for the 1000-yard match this weekend. Long Range National Fees are $50 a day, Late fee applies. For more information, visit www.NBRSA.org and www.SacValley.org. Below are Match Application Forms, in MS Word format (right click and “save as”). The NBRSA is updating its Official Rulebook and By-Laws. The newly revised Rulebook (version 38) is in the process of being printed. However, the NRBRSA has uploaded a PDF file you can now preview the the latest (version 38) of the Official Rulebook. CLICK HERE for NBRSA Revised Rulebook (vers. 38) PREVIEW (PDF File, 1.7mb). Rulebook Tip by EdLongrange. We welcome reader submissions. Share the post "NBRSA Long Range Nationals Underway in Sacramento"
Forum Member John L. has been intrigued by the question of “overbore” cartridges. People generally agree that overbore designs can be “barrel burners”, but is there a way to predict barrel life based on how radically a case is “overbore”? John notes that there is no generally accepted definition of “overbore”. Based on analyses of a wide variety of cartridges, John hoped to create a comparative index to determine whether a cartridge is more or less “overbore”. This, in turn, might help us predict barrel life and maybe even predict the cartridge’s accuracy potential. So what do these numbers mean? John says: “My own conclusion from much reading and analysis is that cartridges with case volume to bore area ratio less than 900 are most likely easy on barrels and those greater than 1000 are hard on barrels.” John acknowledges, however, that these numbers are just for comparison purposes. One can’t simply use the Index number, by itself, to predict barrel life. For example, one cannot conclude that a 600 Index number cartridge will necessarily give twice the barrel life of a 1200 Index cartridge. However, John says, a lower index number “seems to be a good predictor of barrel life”. John’s system, while not perfect, does give us a benchmark to compare various cartridge designs. If, for example, you’re trying to decide between a 6.5-284 and a 260 Remington, it makes sense to compare the “Overbore Index” number for both cartridges. Then, of course, you have to consider other factors such as powder type, pressure, velocity, bullet weight, and barrel hardness. Share the post "What is an “Overbore” Cartridge? Let’s Look at Some Numbers…"